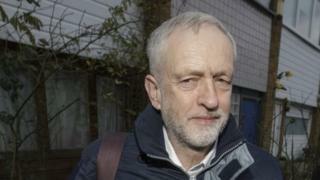 Labour will not accept abuse and intimidation “from whatever quarter it comes”, Jeremy Corbyn has warned. His comments came in an email to members after a fresh row erupted over alleged bullying of MPs who voted to bomb so-called Islamic State in Syria. 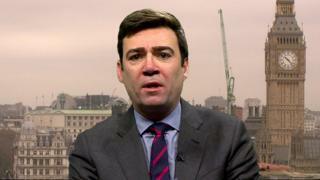 Shadow home secretary Andy Burnham, who opposed air strikes, has called for a new code of conduct to curb abuse. The Metropolitan Police confirmed it was assessing a number of online threats relating to MPs. 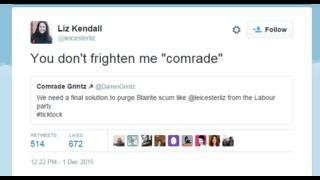 Labour MP Neil Coyle told MailOnline he had reported a threatening tweet to the police. 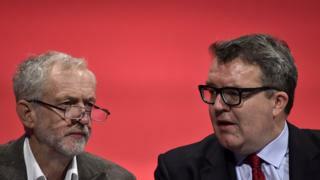 At the end of a joint email to Labour members on Thursday evening, Mr Corbyn and his deputy, Tom Watson, said they backed the right to “protest and lobby” and said MPs had to be “open to hearing the views of their constituents and others”. He told the BBC’s Victoria Derbyshire programme social media was “in danger of poisoning our politics”. “I think it’s because if you are just sitting with a keyboard you can be more offensive than if you are speaking to somebody face-to-face. It’s a bad culture and we need to draw a line under it,” he added. He said talks were under way in the party about a code of conduct. Some MPs were sent pictures of dead children by anti-war protesters and faced foul-mouthed abuse – others allegedly had pictures of severed heads pushed through their home letterboxes or had their offices barricaded by protesters. Here are some of the messages and the MPs’ replies. 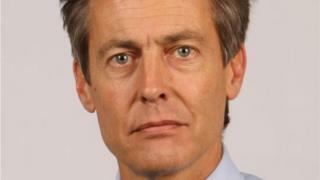 Former minister Ben Bradshaw, who voted for air strikes, said the party leadership needed to do more to combat online abuse, which “wouldn’t be tolerated in any other walk of life” and which seemed to be “worse” for women in the party. He said he dealt with it by not reading the messages. Hull North MP Diana Johnson, who voted against air strikes, said she had received an email before the vote warning she would face a no-confidence vote in her local party followed by a move to de-select her “if I didn’t vote the right way”. Anti-bombing Labour MP Stephen Kinnock, son of former leader Lord Kinnock, who fought the hard left group Militant in the 1980s, called for Momentum to be “disbanded” if found to be co-ordinating attacks, describing the group as a “sort of organised mob”. Another Labour MP, Ann Coffey, says she was sent messages from an email account previously used by Momentum, before Wednesday’s vote, branding her a “warmonger” and saying she would have “blood on her hands” if she supported bombing. The MP, who backed air strikes, told BBC News the language used by Momentum “creates a threatening atmosphere and other people come behind that with physical threats of assaults”. Momentum, a successor organisation to Mr Corbyn’s Labour leadership campaign, said it was “proud” to have helped 30,000 people email their MP asking them not to vote for bombing. A spokesman said: “It can never be a threat to express your views to your elected representative. “Momentum strongly disapproves of anyone who engages in abusive behaviour towards MPs or anyone else, and threatening or bullying, whether they are outside the Labour Party (as most are) or inside it. Campaign group Stop the War, which until recently was chaired by Mr Corbyn, said: “Stop the War condemns the whining complaints from those MPs who apparently do not like being lobbied. “If an MP is not robust enough to withstand emails and tweets, they should really not be voting for bombing other people – those who wish to be alone with their consciences would do better to consider a life of religious contemplation. 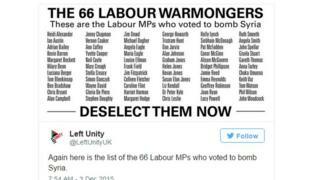 A number of groups, including Left Unity, have called for MPs who voted for military action to be sacked by their local Labour parties. 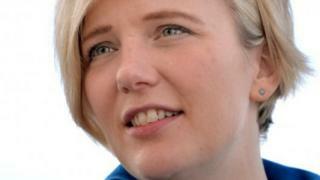 Walthamstow MP Stella Creasy, pictured above, whose office was targeted by anti-war protesters, is facing an attempt to de-select her by a member of the Socialist Party over her pro-air strikes vote. Nancy Taaffe, who stood unsuccessfully against Ms Creasy in May’s general election for the Trade Union and Socialist Coalition, told the BBC’s Daily Politics she wanted to see “a conference to make mandatory re-selection the heart of the new Labour project, if you like, the Corbyn project”. She said Labour was “essentially two parties in one” and “peaceful co-existence is impossible” between the Corbyn-supporting membership and “right wing” MPs and councillors. 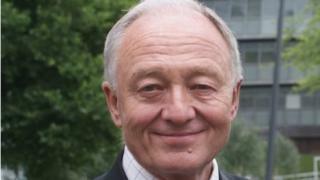 Momentum said candidate selection was “entirely a matter for local party members and rightly so” but Ken Livingstone said party members had a right to get rid of MPs and candidates that did not back the party leader. Andy Burnham said Mr Livingstone’s comments were “disgraceful” as Labour MPs had been given a free vote on Syria and “to then say they should be subject to a witch-hunt or a campaign against them is wrong”. How can Labour MPs be de-selected? Mandatory reselection of Labour MPs as candidates by their local parties was introduced by supporters of the late Tony Benn in the 1980s. They were frustrated by the leadership ignoring the views of party members and also wanted a chance to get rid of MPs seen as lazy or complacent. But opponents saw it as an attempt by the hard left to tighten its grip on Labour by getting rid of those on the right of the party. 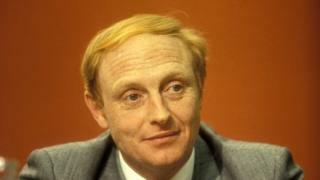 The system was abolished by then leader Neil Kinnock, pictured above, as part of his war on the “party within a party” Militant. Labour now uses a “trigger-ballot” system to decide before each election whether it wishes to carry out the full selection procedure – very few MPs are thrown out in this way. Mr Corbyn has assured MPs mandatory reselection will not be brought back – but MPs out of step with his brand of politics could be ousted anyway, without an official “purge” from the top, as left wing campaigners increase their influence. There will be recriminations and, possibly, attempts at constituency level to deselect the recusants (there does not have to be a return to the ’80s era of mandatory reselection; the coming Commons boundary changes will ensure most sitting MPs will not face a simple rubber-stamping to become their party’s candidate again). If they succeed, some MPs may quit immediately, forcing uncomfortable by-elections, or simply go rogue in the Commons and vote as they please.